I’ve chosen three snippets from the gospels to reflect on, the welcome and importance that Jesus gave to children, baptism as Jesus experienced it, and Jesus in the wilderness, the gospel story for this first Sunday in Lent. 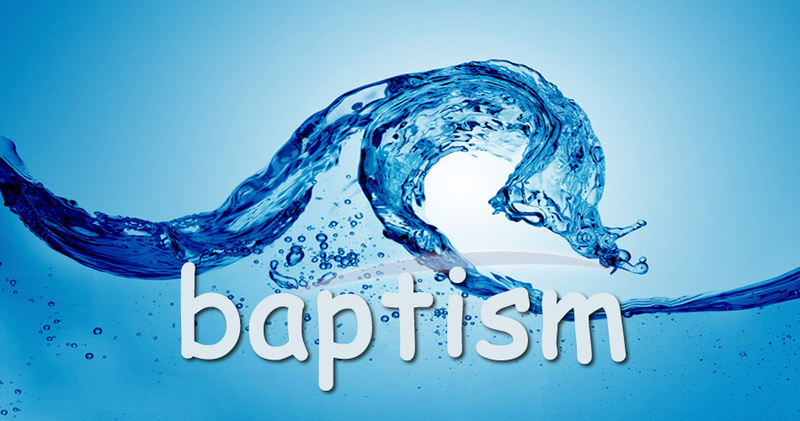 At baptisms of children, I always reflect on one of the gospel versions of Jesus welcoming children, because for me that welcome is the key to why we baptise children, even though they are too young to make that choice for themselves. In that culture, respectable women and children were limited to the domestic sphere, not included in public contexts, hence the disciples’ attempt to turn them away. Being here today to celebrate Aster’s baptism reminds us that God’s love and inclusion of us is our birthright. However, we sometimes forget what our birthright in God is, and see ourselves as separate, steering our own boat, not even aware of the current that carries us. Children are instinctively close to God, whereas adults need to relearn the simplicity and humility that enables us to see past our egos to our dependence on God. That is the lesson that Jesus is trying to teach his disciples, whose attempt to turn the children away was very much an ego exercise of the power to exclude. It implies a warning against the lack of welcome and inclusion which the disciples displayed. Unfortunately our churches have often needed this warning, not only in how we have treated children, but also in how we treat other marginalised groups, which Jesus also refers to as “the little ones”. I don’t think any sort of exclusion, even temporary, is a good look for Christians. So I don’t agree with any old rules that say no baptisms or weddings in Lent. In my opinion, if people want access to a ritual that connects them to God at any time, that’s great. When I was an Assistant Curate, the rector used to say “the font is closed in Lent” – I’m not sure why – perhaps because Lent is a penitential season and baptism is a celebration, but surely you can have both together. I think it’s quite appropriate to hold baptism and the wilderness together. That’s the way it was for Jesus: he was baptized, the Holy Spirit descended upon him, and he experienced the wonderful affirmation of God saying: “You are my Son, the Beloved; with you I am well pleased.” Wow, what a high moment of exhilarating encounter with God and with his own identity and relationship to God! Then Mark’s gospel says: “And the Spirit immediately drove him out into the wilderness.” Wow, what a confronting challenge, to face hunger, thirst, wild animals, and temptation! Yet the point is that both the immersion in God, and the experience of harsh testing and self searching are necessary to prepare him for his ministry. Of course, we hope there are no wilderness experiences awaiting Aster just yet, although perhaps part of growing up is learning to deal with the ups and downs of life, which often go hand in hand. For children, moving house, or going to school or kindy for the first time can be a time of challenge, with excitement and tears mixed. However, it’s clear that if children have had strong experiences of love and affirmation in their families, as Jesus had with God in his baptism, they cope better with harsh realities when they appear, as they always will in some form or another. So let’s make the most of our spiritual rites of passage, like baptism and confirmation, which combine a sense of celebration and specialness with an awareness of the struggle of life. Both joy and challenge are needed to promote our learning and growth. It is in the combination of ups and downs that we form our identity, and as we get older, transcend that identity through unitive experiences of God. This leads me to sneak in a reference to Richard Rohr’s book Falling Upward: A spirituality for the two halves of life, which is the subject of our Lenten study beginning this week. Rohr would say that the ups and downs of life are often linked, and that the way down is the way up. He also says that in the first half of life we are forming our identity, and I think the naming in baptism represents that. Our sense of identity needs to be a strong container for our lives, and that formation is assisted if parenting and teaching provide both abundant love and affirmation and clear boundaries. If you want to hear more of Richard Rohr, come on Wednesday at 6.30pm in the Parish Hall at Crafers.